Quick-drying, water-resistant gel ink lays down smooth, skip-free lines. Contoured grip improves writing comfort. The transparent barrel is as attractive as it is practical. 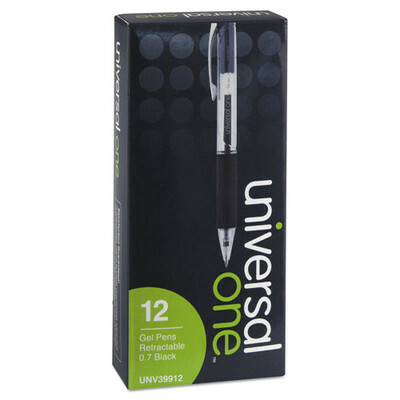 Pen Type: Gel Pen; Pen Style: Retractable; Refillable: Nonrefillable; Special Ink Type: Gel.